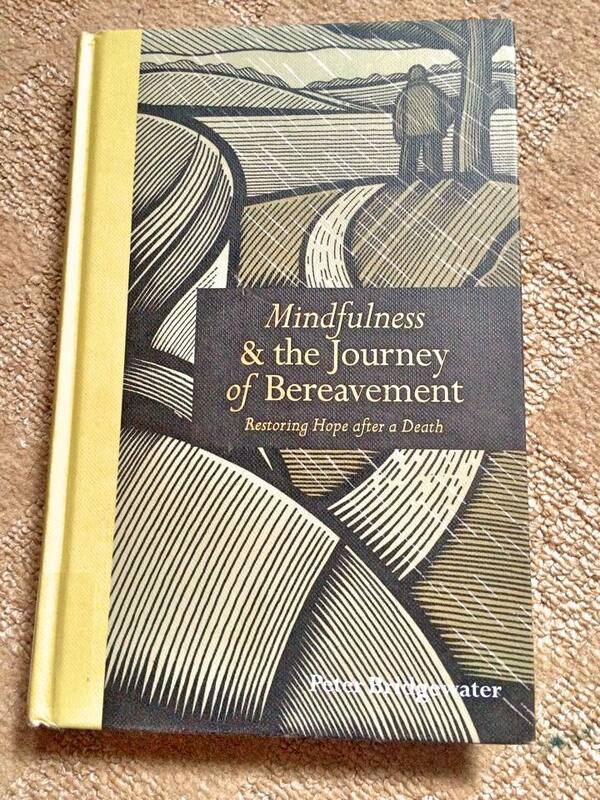 I recently finished reading this book: Mindfulness & the Journey of Bereavement by Peter Bridgewater. 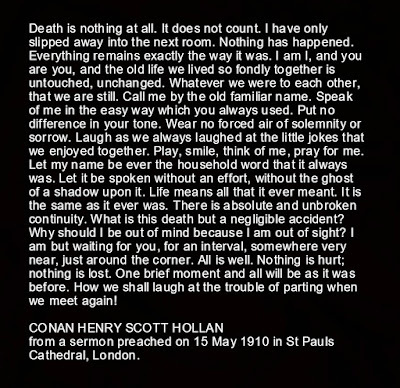 I read it because death, both mine and those around me, is a subject that plays on my mind frequently and although I know it is inevitable for everybody it still continues to baffle me in spite of its simplicity. The idea that one day will be my last and I will cease to exist is worrying to me, call it the fear of the unknown. Albrecht (2012) conducted a survey asking American teenagers what they feared the most and extinction - the fear of no longer exiting, not necessarily death itself - made the top 5. More importantly, not knowing where family members I have lost have ended up is equally perturbing to me. I read this book after several of my friends lost a loved one and every time I just didn't know what to say. So I read a book. You can find it here. The book is so pretty, I'll be sad when I return it to the library, and a valuable read. It is written by a bereavement counsellor who faced death in many ways, losing both his parents - one by suicide - and then working and counselling many who have lost someone they hold dear as well. Personal stories are shared in this book, some of which are heartbreaking to read but also invigorating, because despite their hardship the ones that are left behind survive. A little broken and afraid, but no less alive. Mindfulness, of course, is a central concept of the book, The idea is to live solely in the present and to not attach yourself to negative thoughts. 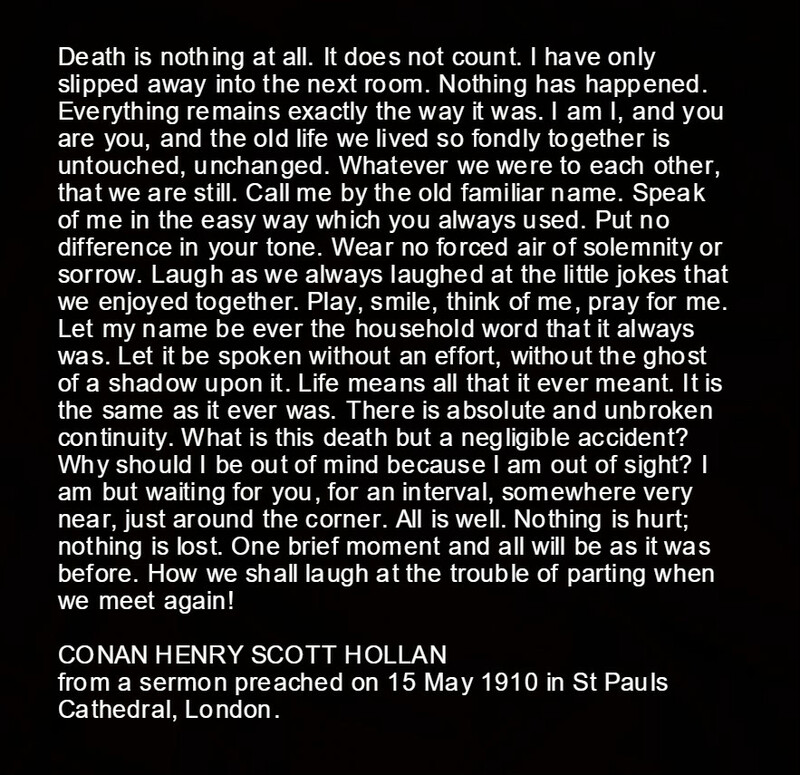 My favourite poem concerning death is written out below, it was in this book as well but I had heard it before and wanted to share it with you all, because it brings me comfort. I think I first heard it when I was really young, and it still touches me in the same way. The book addresses the different stages of grief, something most of us are familiar with. The stages being: Denial, Anger, Bargaining, Depression, and Acceptance. These stages can occur in any order and in varying intensity, everyone's experience of grief is unique and personal. I usually just feel quite lost, sad, and fearful. 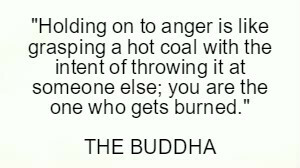 I do, however, battle with anger occasionally. My reactions to certain stimuli can be disproportionate and although I often feel those on the receiving end are deserving of my wrath, I end up hurting myself the most. The quote below sums this up perfectly. Lastly, I want to share with you the sermon that is towards the end of the book, It is beautifully written. Death can seem like a really big deal, even the biggest deal, and in a lot of ways it is. Life, however, must go on and if you spend all your time thinking about your inevitable demise your just going to waste the days you were given. I don't want any of you to waste a second. 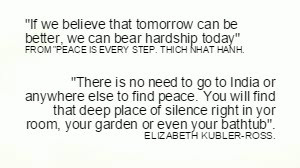 I hope you can read that, this is definitely a different post from the usual but I hope you enjoyed it and it brought you some comfort. If you have anything you wish to share with me, please leave it in a comment or tweet/fb me; I am always online, sadly. I would definitely recommend this book. I am going to write some autumnal beauty posts now to distract myself from the sadness I am beginning to feel. Lots of love to you all. Take care. Thank you! I sincerely hope so, I have followed you on Bloglovin, I look forward to reading your posts. Thank you for taking the time to comment! Followed, thank you for your comment it means so much to me!